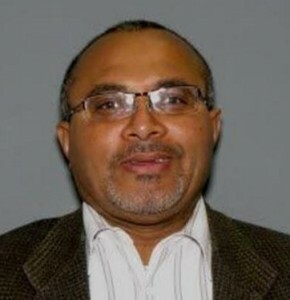 A pill-pushing physician who used bogus Bronx clinics to run a massive oxycodone ring will spend 12 years in prison, a federal judge decided Monday. Dr. Kevin Lowe was convicted in May for operating a chain of Astramed clinics that, for three years, wrote around 35,000 fraudulent prescriptions for some 5.5 million tablets of oxycodone — worth up to $165 million on the street, the Manhattan U.S. Attorney’s office has said. While prosecutors portrayed Lowe as a brazen kingpin, his lawyer, Florian Miedel, cast him as a hard-working, respected member of the community. “He was — and is — a good man,” Miedel said, imploring Judge Lorna G. Schofield to take his history into account during sentencing. “Yours is not an easy case for a judge,” Schofield conceded, saying she had to weigh his accomplishments with his misdeeds. “I don’t believe you are an evil person … but you have broken the law,” she said. The crooked doc maintains he’s innocent. “I did not commit this crime,” the 55-year-old said before Schofield handed down his punishment. Lowe will appeal his conviction, Miedel said. Down the block in Manhattan Supreme Court, another doctor was sentenced to probation for illegally selling at least 28 Xanax prescriptions. Dr. Mengjia Zhao sold the prescriptions over four years and put $4.6 million in pills onto the black market, state prosecutors said. As part of his sentence he was required to give up his medical license. “You sold out your profession for financial gain,” Manhattan Supreme Court Justice Neil Ross told the disgraced doctor.